Doctor Hillman’s research interests include health services research and policy, technology assessment and clinical trials. These focuses derive from his training as a Pew Health Policy Fellow at the RAND Corporation. He was the first to demonstrate that physician self-referral for diagnostic imaging was associated with higher utilization and costs. The work was cited as reasons for new federal and state laws limiting self-referral. Later work elucidated the factors promoting successful radiology research careers, which led to several ongoing research development programs. 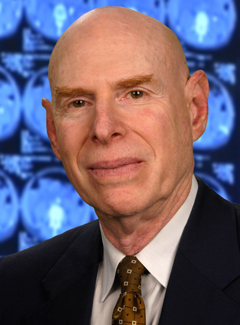 He founded and served as PI for the NCI-funded clinical trials cooperative group, ACRIN, which received nearly $200 million in funding and was responsible for nearly 30 multi-center trials during his 9 years as Network Chair, including major screening trials of CT lung cancer screening, digital mammography, and CT colonoscopy. Dr. Hillman is currently Founder and Chief Scientific Officer of ACR Image Metrix, an imaging contract research organization owned by the American College of Radiology, which designs and conducts clinical trials of imaging devices, radiopharmaceuticals, and pharmaceuticals. Hillman BJ, Goldsmith J. Imaging: The Self-Referral Boom and the Ongoing Search for Policies to Contain It. Health Aff 29:2231-2236, 2010. Dachman AH, Obuchowski NA, Hoffmeister JW, Hinshaw JL, Frew M, Winter TC, Van Uitrt RL, Summers RM, Hillman BJ. Impact of Computer-Aided Detection for CT Colonography in a Multi-Reader, Multi-Case Trial. Radiology, in press. Hillman BJ, Goldsmith JC. The Uncritical Use of High-Tech Imaging Modalities. N Engl J Med, 363:4-6, 2010. Hillman BJ. What are the Opportunities and Challenges for Radiology during the Coming Twenty-five Years. J Thor Imaging, in press. Gunderman RB, Patti JP, Lexa F, Weinreb JC, Hillman BJ, et al. The 2009 American College of Radiology Forum: Health Care Payment Models. J Amer Coll Radiol 2010; 7(2):103-108. Hillman BJ. Screening for Cancer with High Technology Imaging Tests. J Clin Oncol 2009;27(11):1740-1741. Hillman BJ. The U.S. Health Care (Non-)System: A Personal Assessment of an American Radiologist. Can Assoc Radiol J, 2009; 60:(1):6-10.